Young people in the UK are more likely to die from asthma than those in other wealthy countries, a report has found. The UK also had the highest obesity rates for 15 to 19-year-olds among the European nations. The government said it had “world-leading plans” to safeguard child health. Overall, the report found the UK to be lagging behind other nations across a number of health indicators. The study, from the Nuffield Trust think tank and and the Association for Young People’s Health, analysed 17 measures of health and wellbeing for 10 to 24-year-olds in countries that included Germany, France and Italy, as well as Japan, the US and Australia. It found that while young people in the UK are making some healthier choices, such as drinking less alcohol and smoking less, more are entering adulthood with long-term health conditions. Nearly one in five young people in the UK is estimated to be living with a longstanding health condition, such as type 2 diabetes, the report finds. In England, the figure has gone from 13.5% in 2008 to 18% in 2016. The UK was also found to be one of the worst countries for young people to suffer from years lost to ill-health and the burden of their diseases, with only Australia, the US and New Zealand being worse. Children and young people in the UK are also far more likely to be obese if they are poor, with the UK having some of the highest inequalities between the richest and poorest when it comes to the proportion that are obese, the study found. On poverty among older age groups, the report said: “Despite living in the world’s fifth largest economy, young people aged 20 to 24 in the UK are experiencing one of the highest rates of severe material deprivation among the countries in our international comparison. Overall, the UK sits in the bottom third of countries in nine out of 17 indicators, and in the top third in three. In four of the 17 measures, trends have been getting worse, while in five areas previous improvements have stalled. Nigel Edwards, chief executive of the Nuffield Trust, said the study suggested health services in the UK were “getting something badly wrong”. He said: “I worry this reflects a dangerous complacency. “Young people in the UK are entering adulthood with more long-term health conditions and, as a result a poorer quality of life, storing up problems further down the line. Asthma UK said it was “appalling” that people were more likely to die from asthma in the UK than in other European countries. 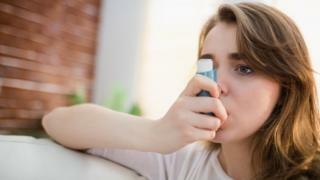 The charity said its research has previously found that millennials – typically those born between the early 1980s and mid-1990s – get the worse asthma care of any age group. Emma Rigby, chief executive at the Association for Young People’s Health, said there needed to be a greater understanding of young people’s health needs. Researchers analysed data from the mid-1990s to the last year for which data was comparable with other countries, 2016. The 19 countries were: The UK, the Netherlands, Denmark, France, Ireland, Portugal, Greece, Germany, Spain, Austria, Belgium, Finland, Italy, Sweden, Japan, US, New Zealand, Australia, and Canada. A Department of Health and Social Care spokeswoman said: “We have world-leading plans in place to safeguard child health by combating obesity, improving mental health and vaccinating against some of the world’s deadliest diseases.